Recently I received the deans list vox box from influenster. If you haven’t heard of Influenster it’s this great program where you get a box full of different products to try out for FREE!!! Ya for FREE!. Then all you have to do is review the products. 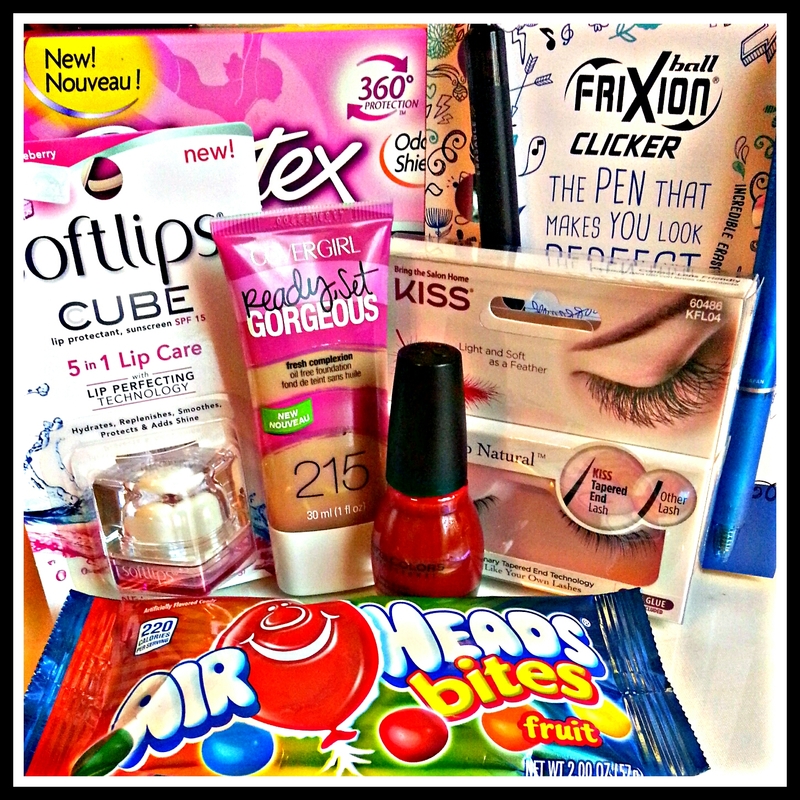 In this current box I received air heads bites, sinful color nailpolish, covergirl foundation, softlips lipcube, playtex sport tampons, pentel erasable pens, and kiss eyelashes. I haven’t gotten to try all of the products yet. Only the airheads and the covergirl makeup. The airheads were pretty good. They come with all of the flavors even though I only Like 2 of them. Ive only worn the covergirl foundation for a few hours so I still have to test out if it’s long lasting. Overall this was a really Good box to receive.